Burn In Designs gets your hobby area in order with the release of their Hobby Storage Master Collection kit. 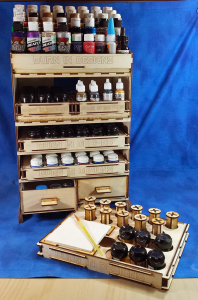 Burn In Designs has just released their latest solution to taming hobby clutter with a new design take on paint and hobby storage. The system is fully modular and designed to grow with your hobby collection.